We at Marketer’s Black Book would like to take this opportunity to share with you one important ingredient that contributed greatly to our success. It is no secret that presentation plays a huge part in coming up with a successful internet marketing campaign. 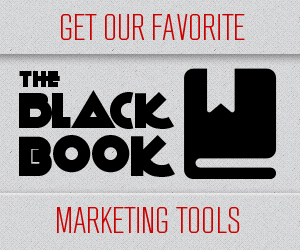 As all of you may already know, the Marketer’s Black Book is now considered “the ultimate resource for internet entrepreneurs.” But it would be remiss of us not to give major props to the company that helped us make it all happen. The Marketer’s Black Book is proud to introduce to you the Multiverse Media Group. The Multiverse Media Group is a company that is dedicated to providing video services that translate to real results. Though describing them as such is a bit limiting for they are much more than that. Where do we even start? As a video production company, the Multiverse Media Group delivers the goods when it comes to providing creative, innovative, and boundary-pushing videos to their clients. Furthermore, they do all these things in a way that integrates everything with sound marketing strategies. It is this good mix of high production value and excellent marketing that translates to results, specifically in increasing a project’s online visibility, lead generation, and branding recognition. When your business makes use of videos that can blow people’s minds and at the same time fulfill that business’s marketing goals, then that business will certainly get a high return on investment. The Multiverse Media Group is also aptly named, since they offer a multiverse of services related to internet marketing not limited to video production. They also offer website design, internet marketing, product branding, SEO solutions, and more. And when it comes to providing these services, the Multiverse Media Group can be trusted to do an exemplary job. The company is known for giving their clients a quick turnaround for each service that’s been requested. They are very professional in dealing with their clients. In every communication with them, it’s evident that they want you to achieve success in the project you’re undertaking. As far as creativity and innovation go, you can always count on the Multiverse Media Group to go the extra mile and exceed your expectations. And a big part of that can be attributed to their staff’s level of expertise and experience. The Marketer’s Black Book can vouch for each praise being heaped on the Multiverse Media Group right now. You only need to look at what we’ve accomplished as a company to see how the Multiverse Media Group has helped us become what we are today. When our company asked for their services last year, we didn’t know what to expect. We expected a good job from them, but we were pleasantly surprised by a lot of things, from the sheer professionalism to the state-of-the-art video production values to the seamless integration with our marketing efforts. They can do it all, and in spectacular fashion. If you want video production services that can catapult your internet business to greater heights, we at Marketer’s Black Book can’t recommend Multiverse Media Group enough. We wish you our kind of success.